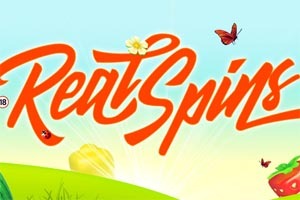 Spring is here and InstaCasino [read review] would like to mark the occasion by giving out extra RealSpins to their loyal players... LOTS of extra RealSpins. Every week they're giving away 5000 of them on the Strolling Staxx: Cubic Fruits slot. That's a lot of RealSpins! If you aren't already aware, RealSpins are not like regular free spins. They don't come with any wagering requirement. What you win with RealSpins you keep. No questions asked! There are 2 ways that players can claim their InstaCasino RealSpins. They must make a deposit during April. Then, on each Sunday, just open the slot Strolling Staxx: Cubic Fruits and if the player is one of the first 200, they will have 10 RealSpins waiting for them! The second way to win RealSpins is luck of the draw. 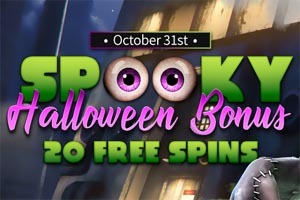 This draw will award one lucky player 400 RealSpins! In all 50 lucky players will win 25 spins or more. 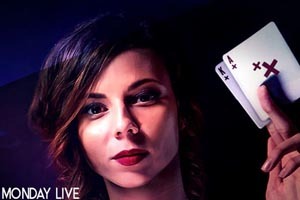 Sign up at InstaCasino [read review] to play! Score a Fiver for Every Blackjack Yo..